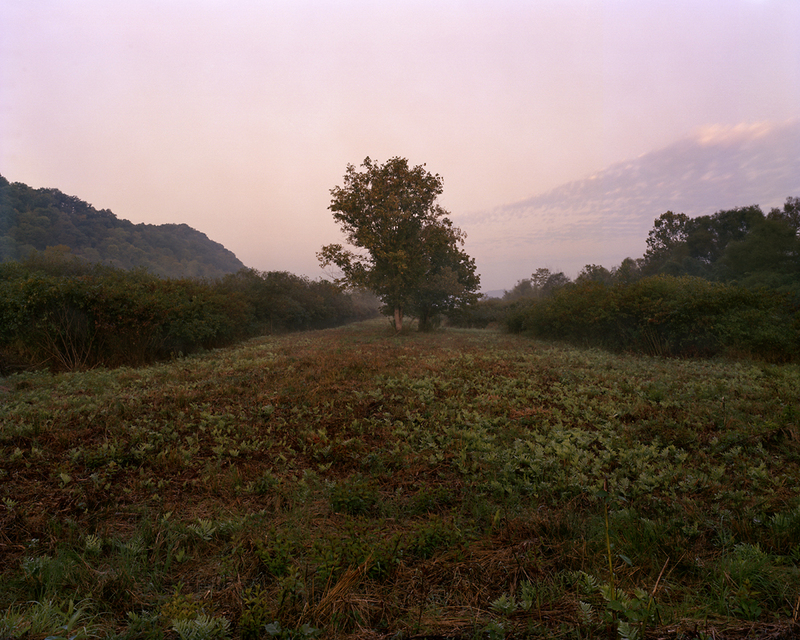 Since 2011, Michael Sherwin has been photographing significant sites of Native American history in Ohio, Tennessee and West Virginia in his ongoing series “Vanishing Points.” The photographs depict the historical significance of the contemporary American Landscape, in an attempt to reconcile the relationship between their present day banalities and their tumultuous, often forgotten past. 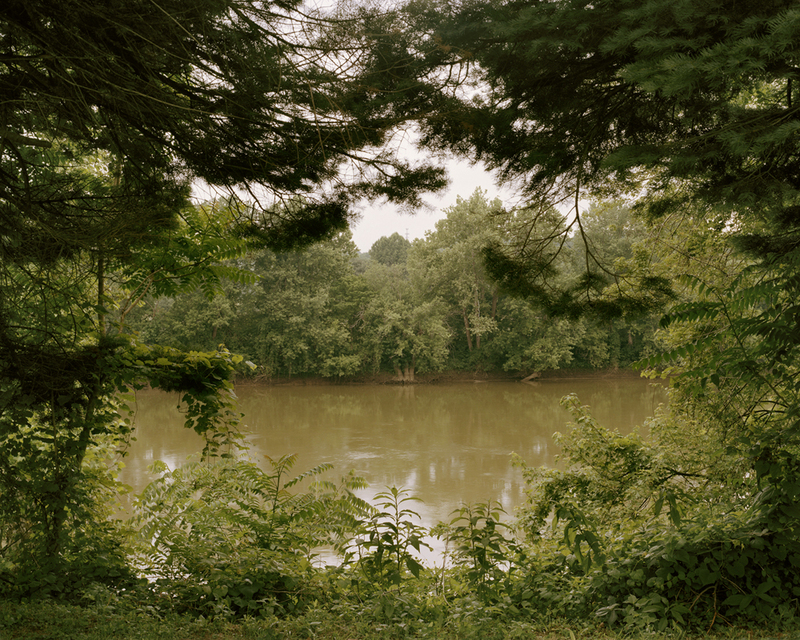 Sherwin’s photographs are generally unsentimental, large format color landscapes -- their subdued colors and deadpan framing highlight the the murkiness of their histories. In one image, an anonymous building sits in a non-descript field in Miamisburg, Ohio – its function looming and pointless, a near testament to non-existence. 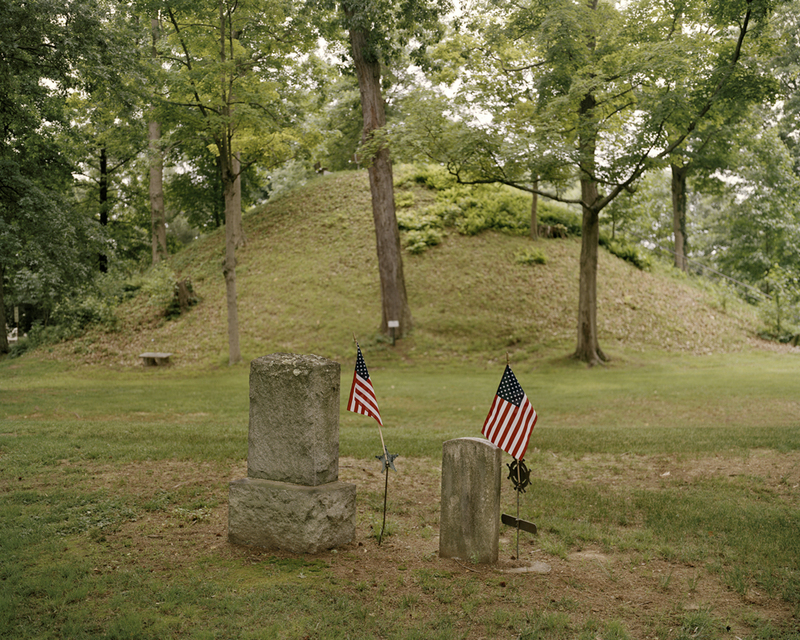 In another image, “Conus Mound, Mound Cemetery, Marietta, OH” Sherwin presents two small American gravestones from behind – obscuring their identities as empty monuments. 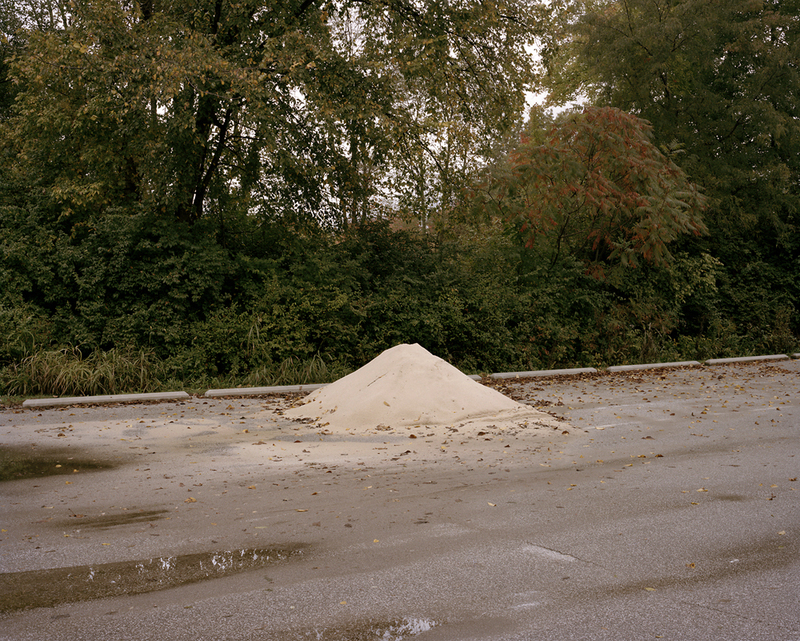 In the background of this image, and constant throughout this body of work is an “Indian mound” – large grass covered hills that existed throughout the region that were built between 800 BC and 500 AD primarily by the Adena and Hopewell cultures. Their presence in Sherwin’s photographs serve both as chapter markers and one of the few traces of the cultures that once occupied the space. While many of the images appear to have a cold ambiguity, they come from a place of deep sadness. 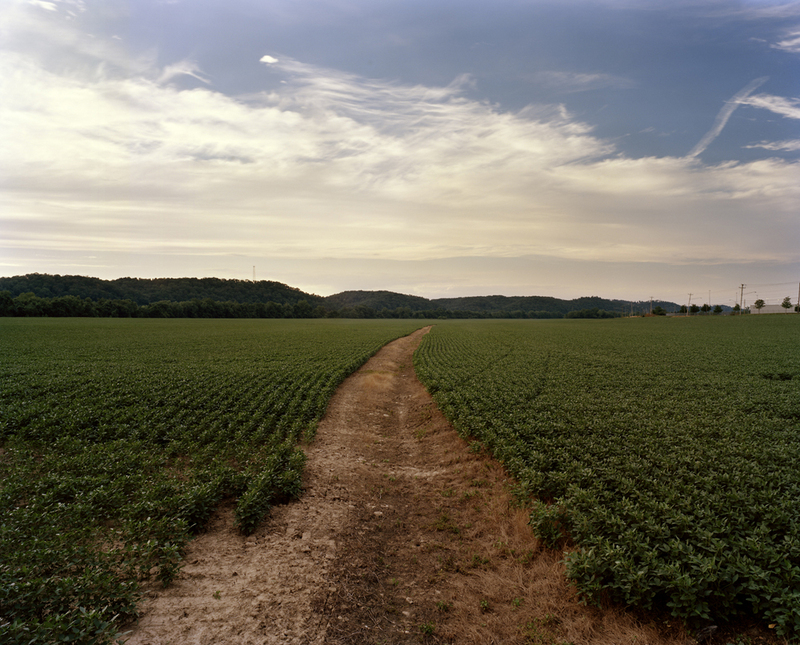 Soybean Field, Buffalo, WV, for example, depicts a native burial site that was converted into soybean fields and a large Toyota development. One of the historians Sherwin met with described a painful dream she had about the place, inspiring him to photograph it. Bio: Michael Sherwin earned a MFA from the University of Oregon in 2004, and a BFA from The Ohio State University in 1999. 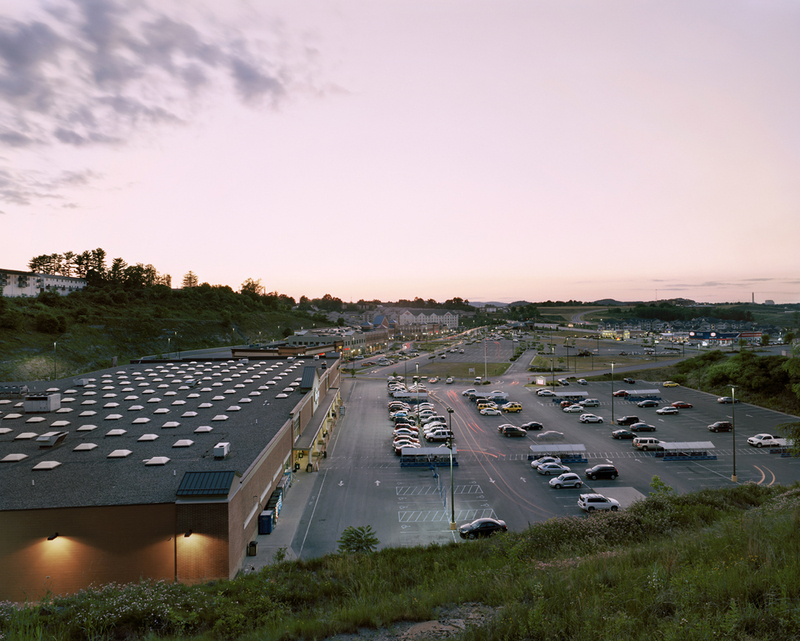 Currently, he is an Associate Professor of Photography and Intermedia in the School of Art and Design at West Virginia University.